AAA Mr Rubbish Removals is your ideal choice for rubbish removal from your business premises – we have the resources and skills to move building waste, office furniture, and general rubbish. No job is too small or too hard. We’ve removed rubbish from 20 storey buildings, and fifth level basements. Our team of expert rubbish removers will professionally remove your rubbish at a time that suits you and minimises inconvenience to other tenants and your staff, and that comply with Body Corporate conditions. We take care of all aspects of the removal for you, including organising disposal of your office rubbish legally and sustainably. Any rubbish that can be recycled is donated to charity. From desks, chairs, filing cabinets, kitchen whitegoods, redundant computers and reception area furniture we take the hassle out of moving your office rubbish. 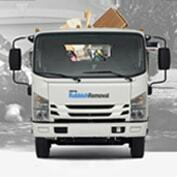 Just had an office fitout and want to get rid of your rubble, building waste or old furniture? Call the team at AAA Mr Rubbish Removal on 0437 866 636 today for a free quote. You won’t be disappointed in our price or service.